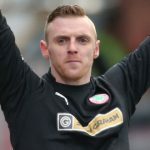 Chris Curran acknowledges that Cliftonville have had an inconsistent season – but is hopeful that the reduced frequency of their drops in form can lay the platform for Tennent’s Irish Cup Final glory. 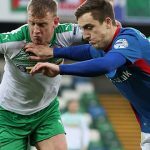 The Reds go toe-to-toe with Coleraine in tomorrow’s Windsor Park decider and, while acknowledging the Bannsiders’ status as favourites, Curran says he and his team mates are raring to give the best possible account of themselves. “Coleraine’s record this season says everything,” he explains. “They’ve been fantastic and clearly don’t lose too many matches, so we know that it’s as tough a challenge as we could face but we’ve had big matches in every round of the Cup so far. Even the first game, against Warrenpoint, was a bit madcap. 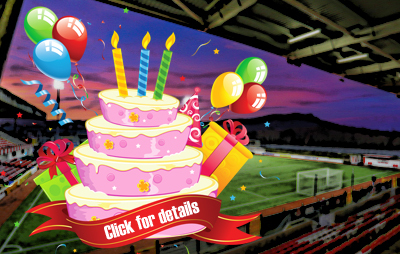 Then it was Crusaders, then Linfield and then Loughgall, which was a huge occasion because Semi Finals always are. 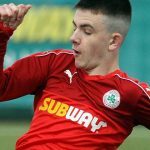 Oran Kearney’s side have won three of four meetings between the teams so far this season, with December’s scoreless draw at Solitude providing Cliftonville’s solitary point in the head-to-heads and Curran knows that stopping Coleraine from edging the fine margins is key to success this weekend. “Our first game at The Showgrounds back at the start of the season you’d have to say was pretty comfortable for them and they won it without too much bother,” adds the 27-year-old. “Since then, the games have been fairly tight but Coleraine did enough to win two of them and we have to be wary of their ability to do that. They’re the sort of team who can win from anywhere. “In terms of ourselves, we’ve been a bit up and down all season but I think, the longer time has gone on, the more we’ve ironed our problems out. “There was a lot of upheaval at the Club last summer with the new Manager and new staff coming in, plus players going, signings arriving and things like that. It took us a good while to settle down and for us to get used to Barry (Gray) and for him to learn about us.